Chef Joseph Chemali is Lebanese, but the food at his popular DC restaurant Shemali's is inspired by a much broader range of Middle Eastern cuisines. The restaurant is especially popular as a quick and efficient lunch-hour destination near Cathedral Commons, but it's also a great option for a casual dinner that's full of flavor. 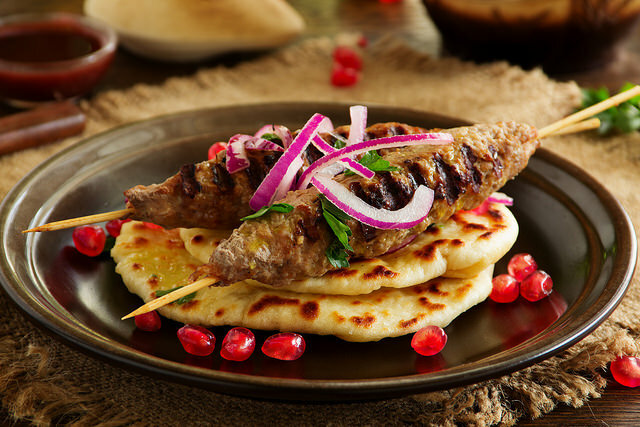 During the week, you'll find diners loading up on favorites like crispy fried falafel with tahini sauce for dipping, as well as flame-charred lamb kabobs and a variety of hand-held meat and cheese pies. You can order anything a la carte, but combination platters offer the best value for your money, pairing an entree with either rice or fries on the side and adding pickled vegetables, hummus, and pita. If you want lighter fare, Shemali's also offers stuffed grape leaves and some tabbouleh for a quick bite. Be aware that Shemali’s is mainly a take-out eatery, so plan to head back to Cathedral Commons or your workplace to enjoy your meal.